"There is more than enough power from the 150PS diesel engine which – although a little noisy around town – is a responsive and refined unit. " 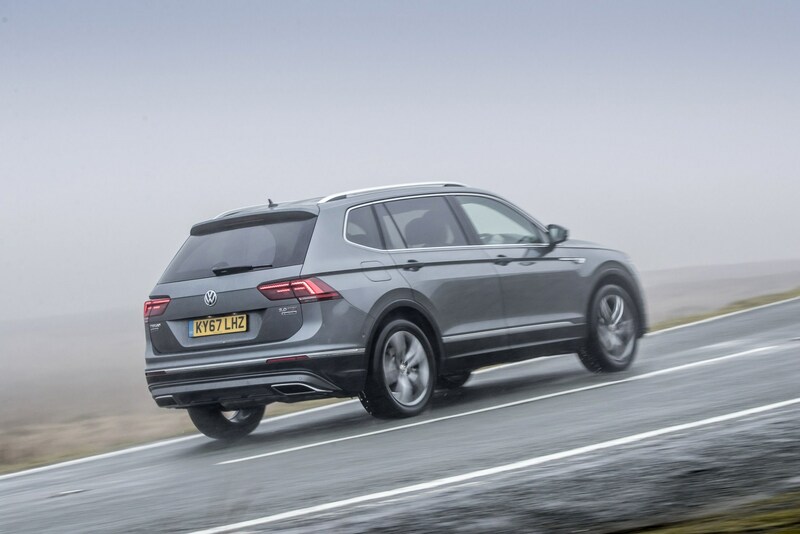 Volkswagen has expanded its SUV range to include the seven-seat Tiguan Allspace, a model which sits between the Tiguan and Touareg. 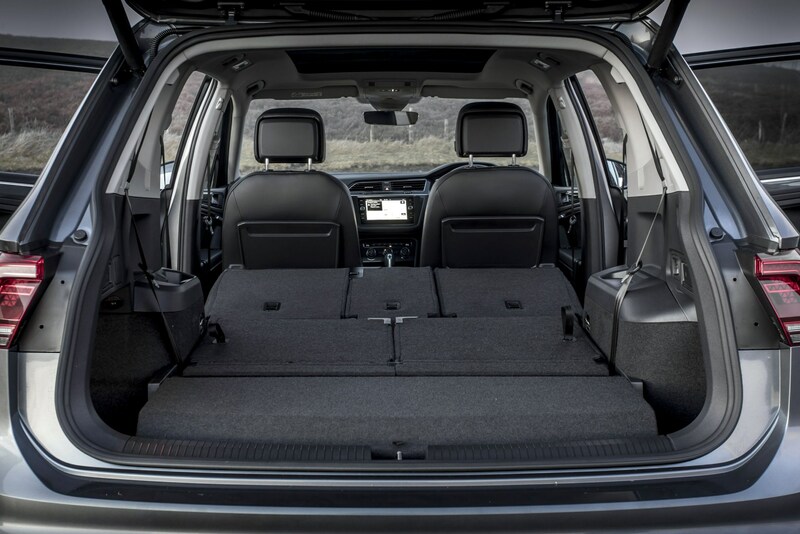 Based on the Tiguan, the Allspace gains 21.5cm in length – enough for an additional row of seats and an extra 85 litres of boot space taking it to 700 litres. The new model shares the same distinct exterior styling as the Tiguan. Its extra length is barely noticeable. The interior is carried over, too, and it’s spacious and well made, reflective of the car’s premium status. 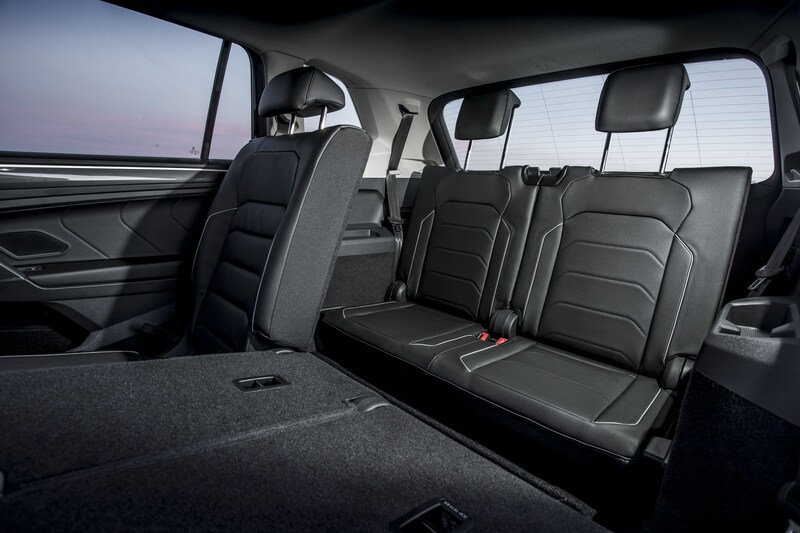 Leg- and head-room is substantial for the front and middle row passengers; the rearmost seats – which fold flat into the floor – are more cramped and only really suitable for smaller children. 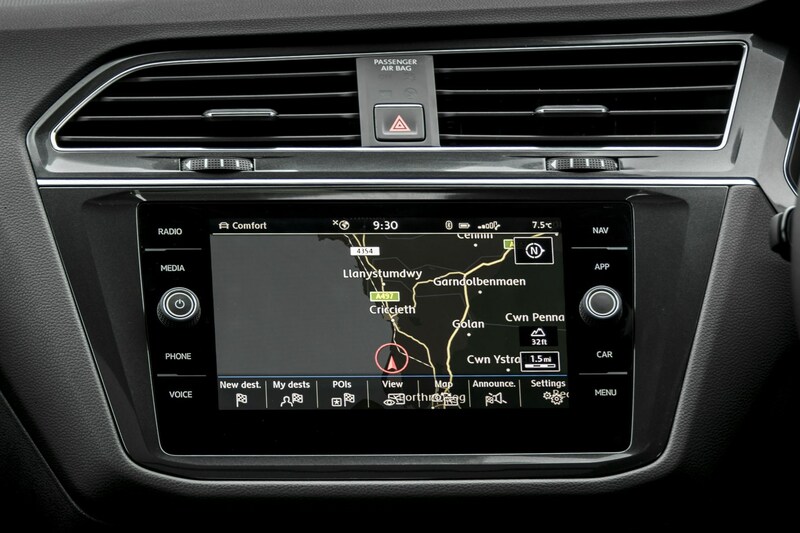 Volkswagen offers the Tiguan Allspace in three trim levels: SE Nav, SE-L and R-Line. The entry-level car is the predicted best-seller and comes well equipped with sat-nav, parking sensors and adaptive cruise control. 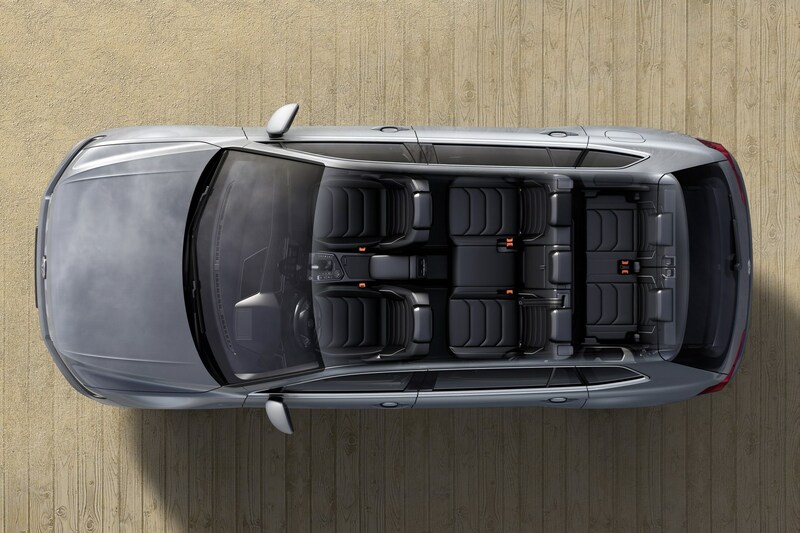 The SE-L adds a panoramic sunroof, LED headlights and digital instruments. Sportier R-Line models have more aggressive styling and larger wheels, plus a half-leather interior. All versions get a host of safety technology as standard. Front Assist helps prevent collisions by warning the driver of obstructions ahead and applying the brakes if necessary. Lane Assist provides a gentle steering input to keep the car within the current lane. When used in conjunction with Adaptive Cruise Control, the safety systems can drive the car along a set piece of road with no user input – although the driver must keep hands on the steering wheel at all times. DSG-equipped versions with Emergency Assist can pull the car over to the side of the road if it senses that the driver is incapacitated. There are two TSI petrol engines – a 1.4-litre 150PS or 2.0-litre 180PS – and a 2.0-litre TDI diesel engine with 150, 190 or 240PS outputs. Fleet customers will find the 2.0TDI 150 the most efficient with front-wheel drive and a manual gearbox. Volkswagen also offers 4Motion all-wheel drive as an option but it increases CO2 emissions from 131 to 150g/km. A seven-speed DSG automatic gearbox is optional with the 150PS diesel and is standard on the more powerful models. 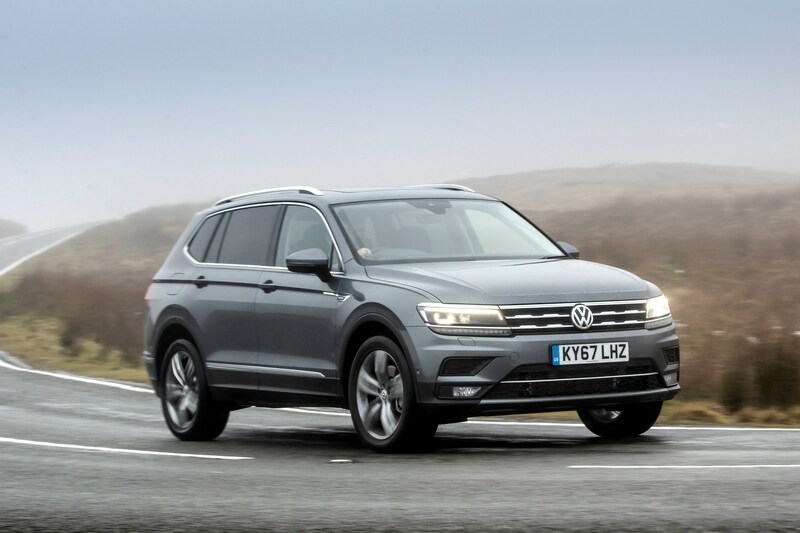 The Tiguan Allspace drives well with the Volkswagen precision experienced in its other models. It has light controls, good visibility and a comfortable driving position. There is more than enough power from the 150PS diesel engine which – although a little noisy around town – is a responsive and refined unit. It can accelerate from 0-62mph in less than 10 seconds with similarly potent mid-range pull. We achieved fuel consumption in the high 40s during our test with one trip showing an indicated 52mpg – impressive for a vehicle of this size. The Tiguan Allspace has joined a competitive sector where its nearest rival is also its closest relative – the Škoda Karoq. While the Karoq has a much lower starting price, when comparing like-for-like, the cost difference is less significant. But the Škoda is still the champion for running costs.